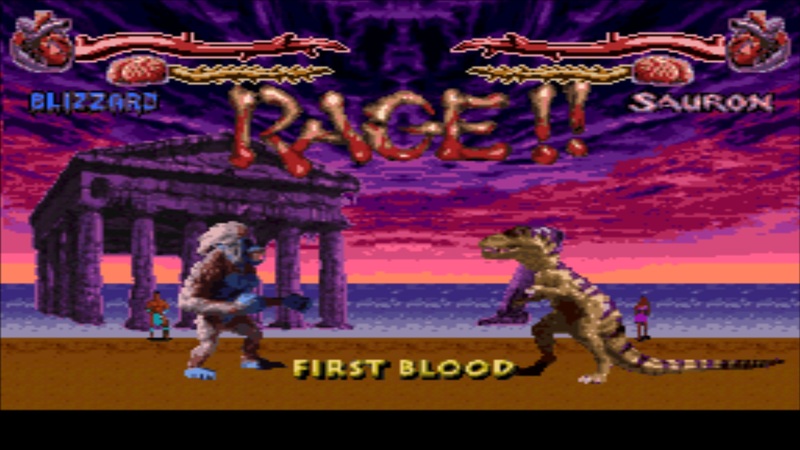 Primal Rage is a classic arcade tournament fighter. The moment you turn this game on the sounds and music will pull you into its atmosphere right away. 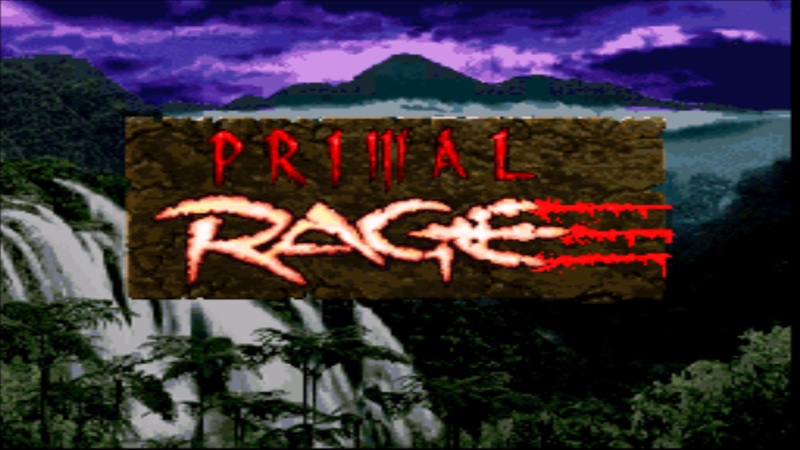 Primal Rage is one of my favorite arcade tournament fighters and it also standed along the likes of Mortal Kombat and Street Fighter. 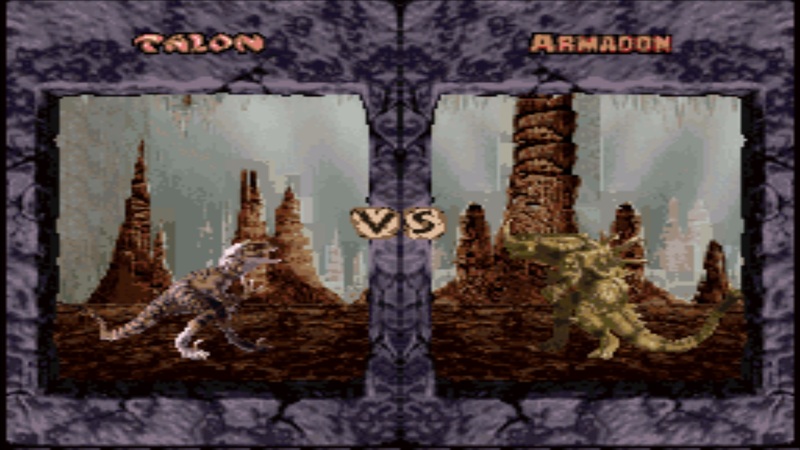 It is a classic game originally on arcade machines. It also is the first fighter game to add in the combo damage. Which has effected fighting games up to this day and age. The characters are beasts. Ranging from vicious primapes to dinosaurs. 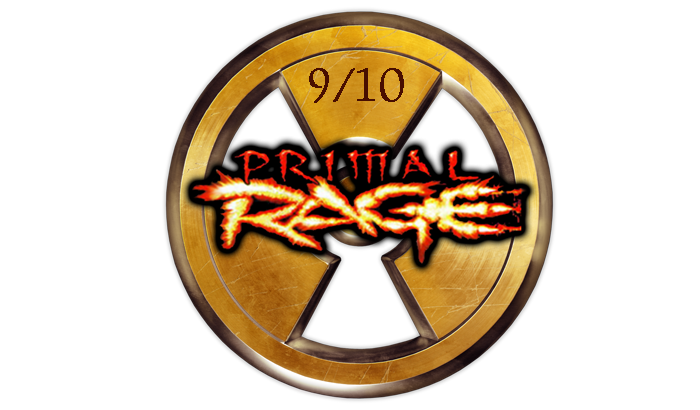 Each character has its own moves, special moves, and of course finishing moves. This makes it quite fun to play and learn each character. Each character has strong points that can withstand there opponents best attacks so its a matter of who can pull them off correctly. My favorite characters are Sauron(Trex), Diablo(Trex), and Talon(Raptor). Some of the finishing moves can be quite brutal. Some involve burning the flesh off your enemies and leaving a pile of bones, simply eating them after the match, stomping them flat to nothing but blood, or even sending the opponent to hell. Its actually very bloody for a classic. You will have to conquer each world and each character has there own world. I really like the mix up of the styles in each level. I feel each characters level matched them accordingly. Each time you beat an opponent you will go to the global Earth map and it will show who your fighting next. Besides shredding your opponent the objective is to get followers. The amount of followers you have is your score. You get more followers for each world you conquer. But based on how well you do in the matches combined with the difficulty you choose will reflect how many followers you have. The goal is simple in classic arcade games, get the high score. Whether you’re stomping, fiercely scratching, chomping down, slamming, or scorching your opponents your bound to enjoy this classic gem. The characters are some of the coolest and creative fighters you will take control of.